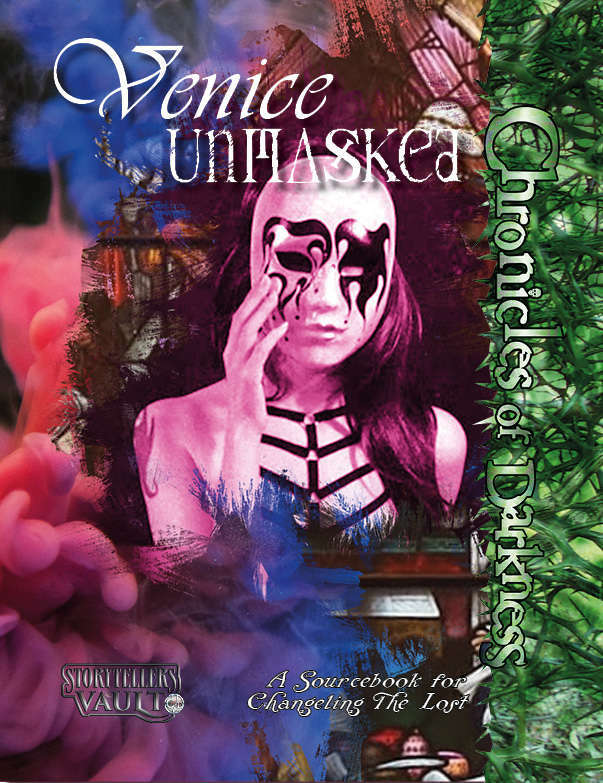 Darker Days Publishing releases its second Storyteller Vault product, Venice Unmasked. Venice Unmasked is a source book for Changeling: the Lost. Venice is a unique city for the Lost. It is the fairy tale city, a city of mirrors, and a city of inversion. The Carneval rules all, even the Gentry. Slave becomes master, master becomes slave, and the Lost take back their mortal flesh. Within is an extensive history of Venice, both real and Fae. There is a detailed look at the Court of Carnival, the roles within this unique court, plus new rules and powers. Furthermore there are 30+ characters provided for use in your Venice chronicle, including Fae, Hobgoblins and Charlatans. Finally there are a few story seeds to get you started. Venice Unmasked is created for Changeling: the Lost 1st edition, though the setting and characters are still applicable for 2nd edition, and in future an update of rules and characteristics will be provided. This book is also filled with story hooks and ideas that an be used in Vampire, Geist, Mage and Mummy. This is a full rebuild of the book that was released over 5 years ago, featuring official and original art. Also The Hunger Within will be on sale later today for a week. Watch this space!